Los Angeles is one of the most exciting food cities in America—but don't just take our word for it. After all, we're admittedly biased considering MyDomaine headquarters is located in the heart of West Hollywood. To support our bold claim, we turned to the experts seeking validation. Zagat claimed that Los Angeles is finally being "taken seriously as a top food town." Anthony Bourdain deemed the city of angels' food scene "wildly underrated." And Food & Wine even hailed L.A. as "one of the best food cities in the world." To round out our restaurant guides showcasing the cuisine of the city esteemed late restaurant critic Jonathan Gold called home, we're extending our view beyond the sunny spots of Santa Monica and the buzzy bars of Downtown to the trendy eateries of Silver Lake. 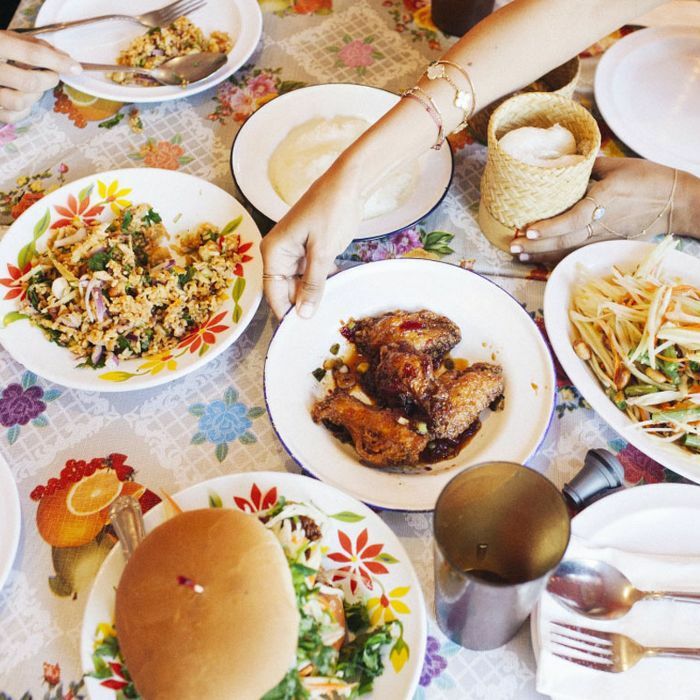 Spanning a bustling Thai joint to an up-and-coming vegetable-forward cafe, these restaurants are proof that L.A. is indeed one of the best food cities in America. Keep scrolling to find out which of the best restaurants in Silver Lake are actually worth braving the 101 for. Arguably one of the best Italian restaurants in Los Angeles (not just Silver Lake), Alimento balances laid-back bistro ambiance with powerfully delicious dishes. Chef Zach Pollack's "menu here is modest but clever," praised late food critic Jonathan Gold in the Los Angeles Times. "You're tempted to come back often just to see what he may be up to next." El Cochinito is a Silver Lake institution that's been serving up some of the best Cuban fare in Los Angeles for over 30 years. The casual family-run restaurant even took home a coveted national award for its famed Cuban sandwich, which showcases its signature slow roasted pork (or lechon asado) at its finest. Ma'am Sir's modern Filipino-inspired dishes are further proof that Southeast Asian flavors are still tantalizing Angelenos' taste buds. While the spicy ramen of Sawtelle and the saucy barbecue of Koreatown tend to steal the spotlight when locals are ranking the best Asian-inspired food in the city, you'd be remiss if you overlooked this new Silver Lake eatery. Northern Thai dishes like pad thai, hot pot soup, and spicy curry shine at Night + Market Song, the bustling Silver Lake outpost of Chef Kris Yenbamroong's popular Los Angeles chain. Pro tip: Order the creamy Thai iced tea to help soothe your taste buds if you're ordering fiery dishes at this Jonathan Gold-beloved restaurant. Seating is first-come, first-serve at Pine & Crane—and we suggest arriving early. The casual Taiwanese-Chinese eatery is a go-to spot for Silver Lake locals—and it's not hard to see why. The seasonal menu features freshly harvested produce straight from the family's local Asian vegetable farm resulting in unrivaled flavor and quality in their dishes. As you may have guessed from the name, Trois Familia serves up French-Mexican fusion fare. "This is the most Silver Lake restaurant imaginable, down to the mostly vegetarian menu, the chugging '70s funk on the stereo, and the possibility of running into the guitarist from Bad Religion," observed Jonathan Gold in his review of the popular cafe for the Los Angeles Times. The Asian-inspired menu at Wolfdown ranges from delicate silken tofu and scallop crudo to heartier crispy pork belly ddukbokki and spicy pork spare ribs. Tucked off the main Sunset strip on the sleepier Rowena Avenue, it's worth the battle to find street parking to snag a table at this Silver Lake restaurant. A new staple to the Silver Lake restaurant scene, the vegetable-forward cafe Botanica features a seasonal menu informed by fresh farmers market produce. It's the type of spot you'd expect to find loyal Healthyish readers hanging out on a Sunday morning (and you wouldn't be disappointed). Kismet, a casual, all-day eatery that falls under the same restaurant group as meat-focused Animal, Italian-inspired Jon & Vinny's, and seafood-centric Son of a Gun, is where locals head for Mediterranean-Middle Eastern fare. Boasting a brunch menu with freekeh polenta and shakshuka, there's usually a line around the block. Looking for more places to eat in Los Angeles? Subscribe to our newsletter to have our city guides delivered straight to your inbox.